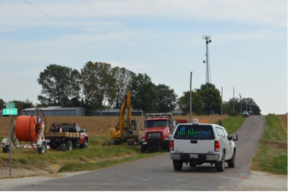 Mi-Fiber is busy in its preparations to bring the greater Des Moines area an unmatched Broadband experience through its deployment of a 100% fiber optic network. We are engineering the network specifically to deliver unmatched speeds and reliability. There is a lot of work to be done behind the scenes before service can be deployed. We understand that it can feel like a lifetime when you are waiting for something that you really want. We promise your Mi-Fiber Internet service will be worth the wait! Here’s a glimpse at why your patience is appreciated and necessary. What Does Mi-Fiber’s Deployment Plan Look Like? For Waukee, our deployment will follow a phased approach in which services are sequentially deployed across identified build sectors or “Fiberhoods”. The following graphic represents our build sectors within Waukee. You can view an interactive map here. 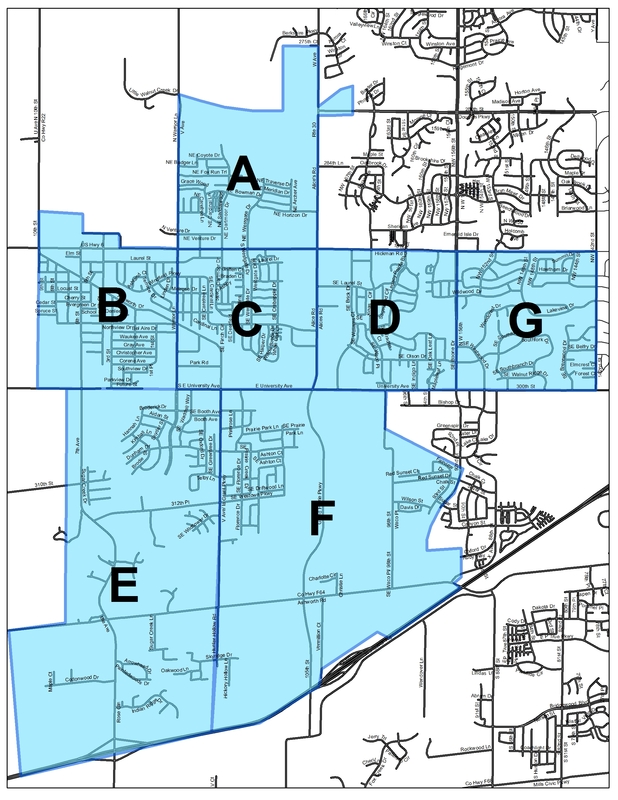 We have currently designated 7 build sectors within Waukee, Fiberhoods A through G. Currently, we have service available in Fiberhoods D, C, E, and B. We are currently under construction in Fiberhoods A, F, and G! Due to overwhelming requests we have expanded our deployment to include parts of Altoona, Clive, Grimes, Polk City, and West Des Moines. What is Mi-Fiber Up To Right Now? 1. Detailed Engineering: We’re surveying neighborhoods, working with the city on utility layouts and rights of way, and designing the network based on latest generation fiber deployment techniques. You may see our staff and contracted engineers around town over the next several months as we work our way through designing the overall network for the greater Des Moines area. What does the construction process entail, and how long will it take to complete? 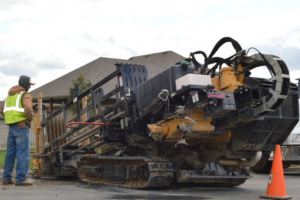 Before we can lay the fiber in the ground, or bring in construction equipment such as boring machines, we have to figure out where the existing underground utilities are—wires, pipes, water lines, and so on. We then follow a precise process for marking the locations (“locates”) where each utility is supposed to be. This helps our construction crews when they are digging. You might see orange, blue, red, or yellow paint and flags on sidewalks, streets, or even on your grass. Those are locating marks of underground facilities we’ll have to navigate during construction. Our construction permits, which are issued by a state or local government, allow us to build our network in public rights-of-ways and easements in a particular jurisdiction. Where applicable, we have to separately secure the rights to construct on private property, such as in a multi-family apartment building, in a gated community, or across a private road.